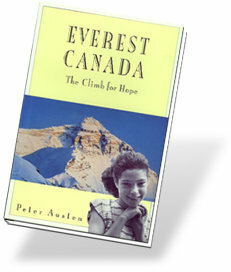 PETER AUSTEN PUBLICATIONS. PURCHASE ALL BOOKS FROM THE AUTHOR. Mountain hazards, potential terrorism, robbery, religious indoctrination, historical oppression, an apparent Martian, and unpredictable nature and constant strangeness of people are some of the outlandish set of 'Narrow Escapes', described in Peter Austen's delectably eccentric, uproarious yet sometimes very riveting new collection where misadventure, worldwide travel on four continents and culture combine. Peter Austen has been to the world's wet spots and lived to tell the tale. In this collection of adventures and misadventures on and in the waters of Canada, the US, Mexico, Europe and Australia, Austen confronts his aquaphobia by paddling wild rivers, crossing seas and diving to coral reefs. More a mountaineer than a wanderer on water, Austen nevertheless believes that enjoying water in all its forms is essential to a full appreciation of nature. The remarkable characters, culture, history, environmentalism and life-threatening foibles make for gripping, hilarious and totally absorbing reading. Life threatening falls on rock and ice, avalanches, lightning on mountain tops, high altitude diseases, grizzly bears, the unpredictability of people under extreme stress, hypothermia and even exploding volcanoesthese are all "ROCKY HORRORS"
Very different from the usual over serious, chest thumping and media driven "We Conquered the Mountain" scenario, this book contains a refreshingly unconventional, unpretentious and highly individualistic selection of stories combining climbing, travel, culture and adventure where the journey is at least as important as the goal of climbing mountains. There are tinges of "Monty Python" and "Mash." The characters and events are sometimes hilarious. Peter thinks life is probably a hoax and humor was given to us to deal with the joke that really is on us. 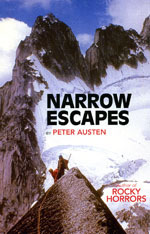 Peter Austen has adventured in 80 countries over 40 years and returned intact from many famous peaks such as Everest in Tibet, Mount Communism in Russia, Mont Blanc in France, Mount Robson in Canada and Alpamayo in Peru. Totally successful trips, where nothing life threatening happens are fine for information or guidebooks, but it is the sometimes unavoidable and very human errors and accidents that make for gripping and fascinating reading. An entertaining, funny and cautionary book combining a rich sense of humanity with adventure, travel, culture and humor in mountains throughout the world. Peter shows that climbers are accessible and human after all, not minor gods. Readers will be amazed he lived to write about it all. Sandi Kubert: I loved your book "ROCKY HORRORS." It made me laugh out loud. I bought copies for family and friends. They loved it too. 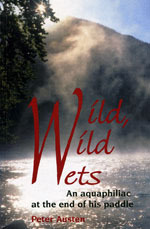 It s a great relief from the serious, self important outdoor adventure books around. Great work. 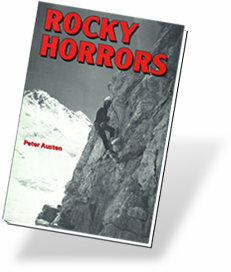 Vic Quickenden: Any person venturing into the mountains would be wise to get a copy of "ROCKY HORRORS." From fickle weather to deadly peril Peter has shown, somewhat hilariously, that although mountains and people can be awe inspiring and beautiful, they can change in a moments notice to reveal their dark and ugly side. Then you really have to fight to survive. 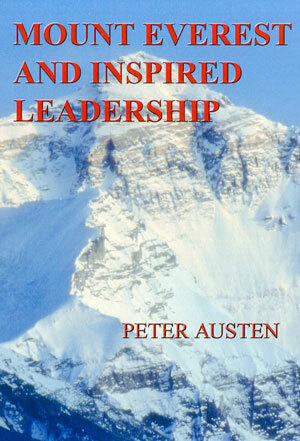 Dr. Peter Austen is a Mountaineer, Mountain Guide, Business Consultant, Author, Educator and Adventure Company Operator. He speaks 5 languages and has academic degrees from England, Canada and the USA, He has lived in six countries and explored in 74 more. He was the leader of Canada’s first truly national Everest expedition, the Climb for Hope," which had Sir Edmund Hillary as patron, made a documentary film, acclaimed America wide, shown frequently on Discovery and other US TV channels and narrated by Leslie Nielsen. Peter gives Leadership and Team Building seminars using his trademarked Everest Experience® to diverse groups, both public and private, throughout North America in between exotic trips and expeditions worldwide. 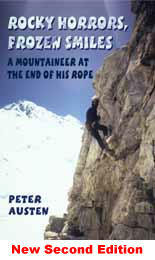 Peter uses his very well reviewed, unusual and humorous books as prizes and he has also been published in climbing guidebooks, BC Outdoors, Canadian and American Alpine Journals, magazines, newspapers and in tourist publications, both in book form and on the internet.